Laid down, 21 December 1942, at Federal Shipbuilding and Drydock Co., Kearny, N,J. 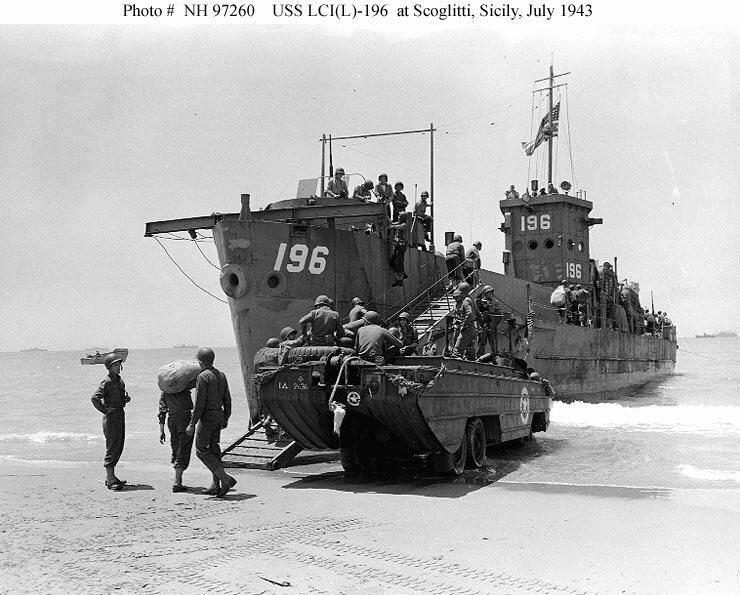 98k LCI(L)-196 beached near Scoglitti, Sicily, in July 1943. 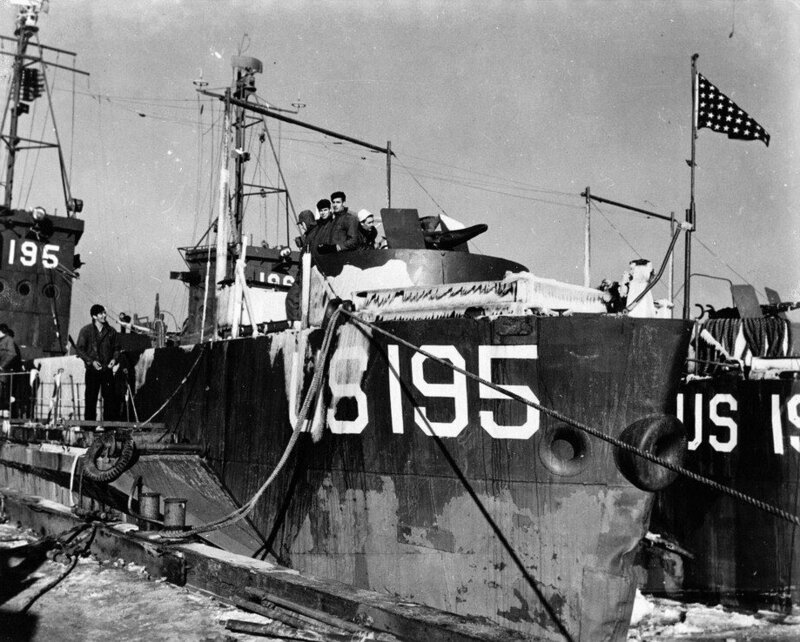 197k USS LCI(L)-195 and USS LCI(L)-196 moored pierside at Boston Navy Yard in December, 1944 after service in the Europe-Africa Middle East Theater.